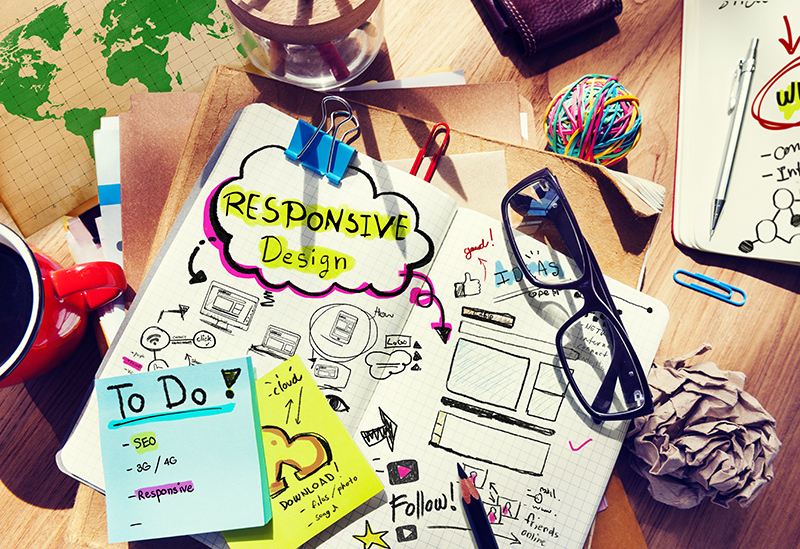 Why your website must be responsive! What’s the difference between a mobile and responsive website? There are two main approaches to building mobile friendly websites – responsive and mobile. Responsive websites are designed around the concept of responding and adapting to the user’s device, adjusting the design and content to fit the screen it is being viewed on. Mobile only websites are a separately built website, usually on a sub-domain, specifically, but generically, built for a mobiles. As a result, it’s a one size fits all solutions. Each have their advantages, but responsive websites definitely have more than mobile only sites. Responsive design, a term originally coined in 2010, is by far the most common method of designing a modern website suitable for a mobile audience, and here’s why. Despite compelling statistics, many businesses still don’t have a mobile friendly website. Over 25% of all emails are opened on a mobile device – 25% for mobile phones and 10% for tablets. Research shows that if a user lands on your website and doesn’t immediately see what they’re looking for, there’s a 61% change then the will navigate away to another website. In comparison, a positive experience can mean your users are 67% more likely to buy your product or service. In essence, what we’re saying is that if you have a responsive site, your mobile users will have a pleasant experience, meaning you make more sales. You probably know how much of a positive impact social media can have on your website traffic. Research has shown that 55% of social media consumption takes place on a mobile device. This means that if your website is not optimised for mobile usage, then you are potentially missing out on even more traffic. You may have spent hours crafting that perfect blog post, only to find you don’t get as many visitors as you could have. You could be missing out on 100’s of visitors a week, maybe more! Think how much this could be worth in sales. It has been said that Google prefers responsive web design over mobile only sites. As responsive design use only one URL, it is easier for Google bot to crawl your site. Responsive sites are easier to maintain, due to it being just one site, which means you can spend more time perfecting and updating your content – in turn, this helps with its visibility in search engines. Responsive websites are designed around screen sizes, not devices. This means that the device it is being viewed on is irrelevant; it’s only the screen size matters. So, as newer and more advanced devices are released, a perfectly designed responsive website remains beautiful, no matter what the size.Having a mobile friendly site is no longer just a nice-to-have – it is absolutely critical for a website and business to be successful. With such a large audience using mobile, you just cannot afford to ignore it any longer. Brilliant article. Some really useful info for understanding how I spec my next website.